If there’s one thing I like, it’s old-school sprite-based games. Maybe it’s just nostalgia, but I love seeing games of this format, especially ones that are made in this day and age. As such, I have a special respect for developers and publishers that work to keep that tradition alive. To me, no company does that job better than Chucklefish Games. While their own collection of developed games is pretty small, they have had a hand in publishing some great sprite-based titles in their short history. 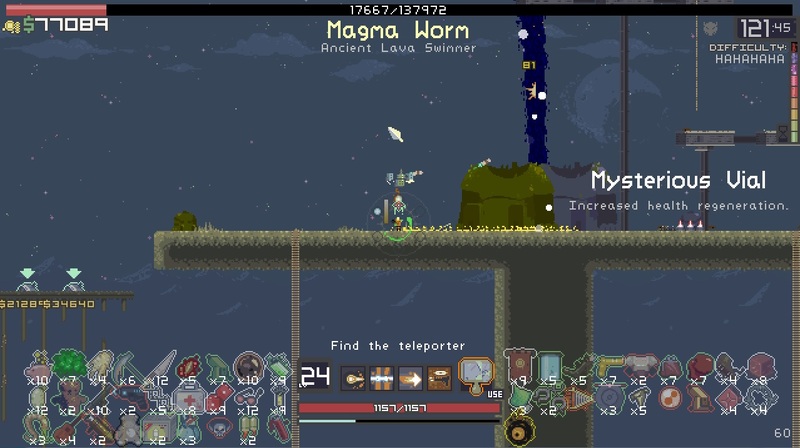 I first became aware of Chucklefish after hearing about Starbound, a side-scrolling sci-fi title that could very well be considered the spiritual successor to Re-Logic’s 2011 title, Terraria. Taking cues from many of the exploration elements in that game, Starbound expands upon the formula, giving players their own spaceship and an enormous galaxy with an infinite number of procedurally-generated planets, moons and other celestial bodies to explore. It’s a game for which I have high hopes, going so far as naming it my most-anticipated PC game of 2014. 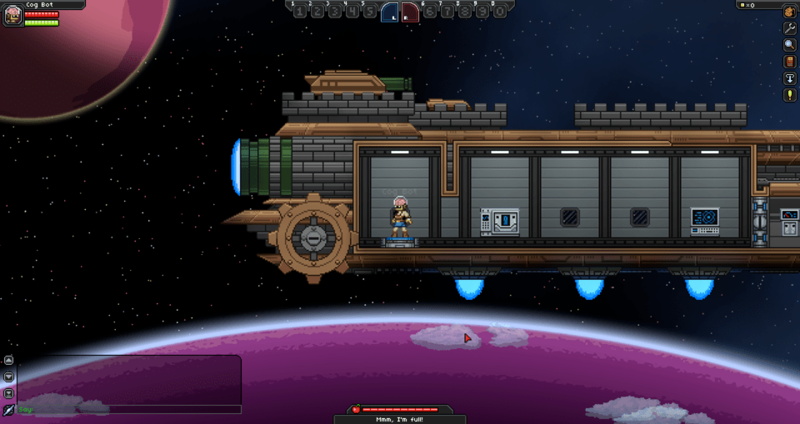 The beta for Starbound was released to the general public just last December, but there’s a lot of potential there, and I’m looking forward to seeing how things develop as Chucklefish adds more and more to the game. What I didn’t know about Chucklefish Games going in, however, was the small collection of games from other developers that they have published. These games represent some great genres, from action RPGs to Metroidvania to action platformers. It may not seem like much, but what they lack in quantity, they make up for in quality. First on our Chucklefish tour is Yeti Trunk’s action RPG, Wanderlust. Inspired by classic titles like the Gauntlet games, players can choose from four unique character classes and grow them as they see fit. Even better, the game supports up to four-player co-op with an emphasis on teamwork if players want to be successful. Players can choose from the powerful Fighter, the healing Cleric, magic-heavy Elementalist and the status-changing Alchemist. Working together and using these skills in tandem requires good communication, but, when things come together, the gameplay is quite satsifying. Next, we have Treasure Adventure World, a Metroidvania title with hand-drawn graphics from Robit Studios. 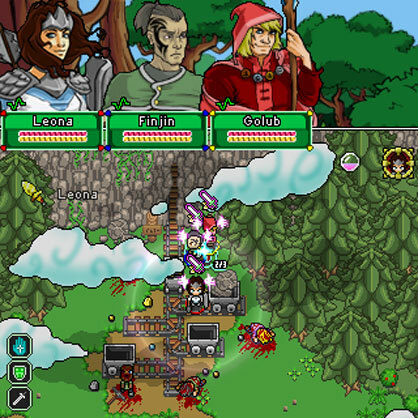 TAW is a remake of the 2011 sprite-based title, Treasure Adventure Game. Players take on the role of a young man who is just starting out as a treasure hunter. 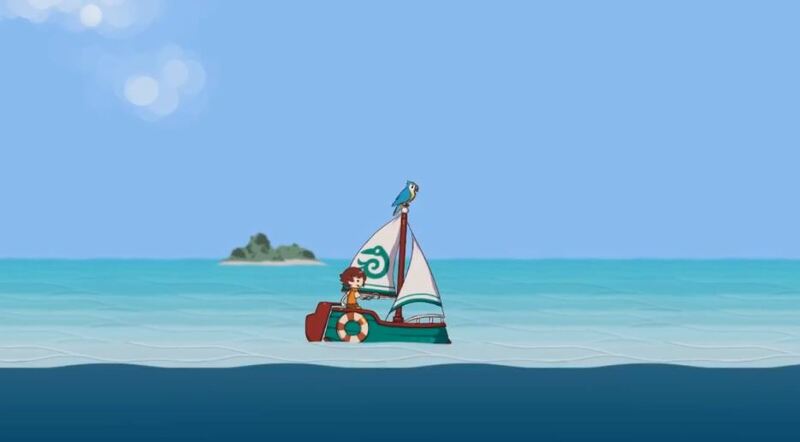 Armed with his paper hat, hook hand and a talking parrot named Whydah, the protagonist sails around a huge 2D world, accepting quests from NPCs and hunting for treasure. Pirates and sea monsters populate the waters, and other beasts lurk in the many caves and ruins that players will explore, so there’s excitement to be found no matter where you look. TAW is still in development, but Robit Studios is currently shooting for a Q1 2014 release. If you want an early taste, though, Treasure Adventure Game is available for free online. Risk of Rain from Hopoo Games is the most recent release on our list, starting its rounds in the action-platformer community back in November of 2013. Players are randomly spawned on one of many maps, with enemies and item locations decided by the game’s AI Director. Aside from the randomized gameplay, the game also has the unique quality of getting more difficult the longer a given session continues. Enemies become more numerous and more powerful as players continue to play and explore the map. The game offers a fine challenge to those bold enough to take it, and it also includes a co-op mode for players who want to even the odds a bit. 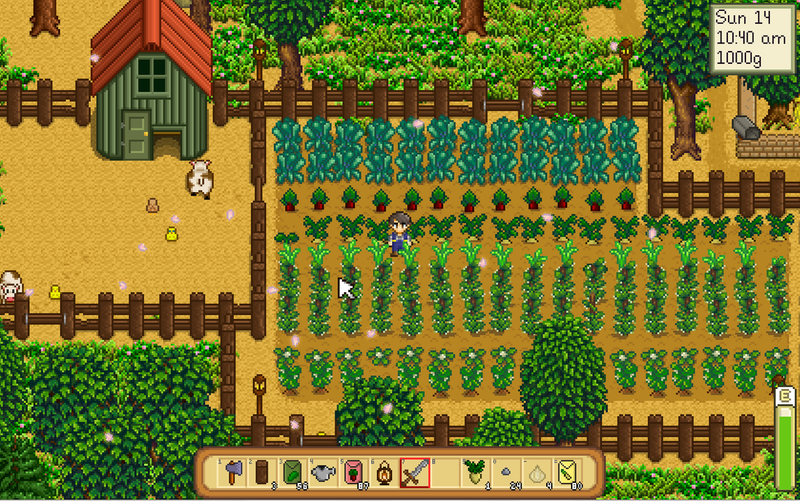 Finally, we have Stardew Valley, a game currently in development from ConcernedApe. Allow me to paint a picture for you. Imagine a Harvest Moon game, and everything it entails – building a farm, going into town and conversing with the various residents, taking part in festivals and wooing potential spouses. Now, imagine making all of this a cooperative experience. Yes, Stardew Valley takes all of those elements and lets up to four players team up and run a farm together. Compound this with an interesting system of skill trees that gives a variety of buffs, and you have a game that looks incredibly promising. There’s no release date for Stardew Valley at this time, but it’s certainly a game that I’ll be keeping an eye on. Sprite-based games are nowhere near as prevalent as they used to be, so it’s great to see when companies embrace this format. Chucklefish Games may not have the biggest collection out there, but the games they do deal in are challenging, fun and well worth your time. Keep up with Chucklefish Games and the games they publish on their website and Twitter.